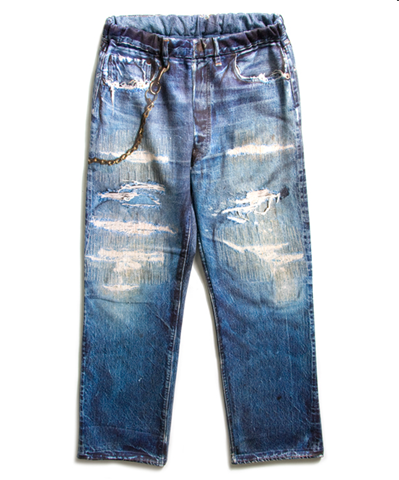 What do you think of the vintage denim jeans shown below ? 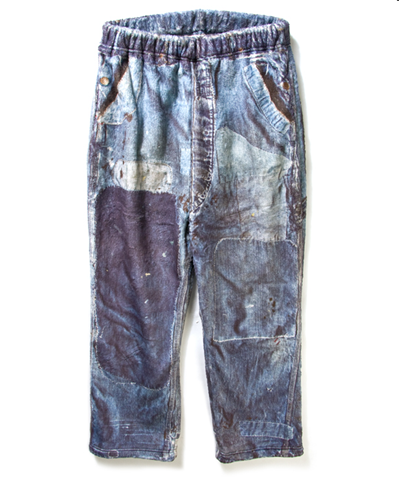 Would you like to own one of these vintage jeans ? And what if you found that these jeans do not fade further ? And that these are actually not jeans made of denim fabrics?? These are actually made up of uniquely digitally printed fleece and according to Stylesight , are talk of the Japanese blogging world. 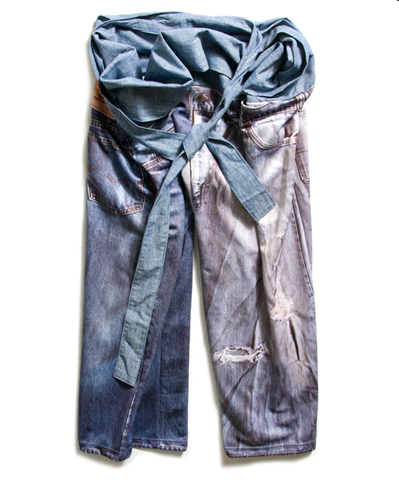 This is a collection by the Talk About The Abstraction and made with a theme derived from vintage denim. Also see report by Slamxhype . 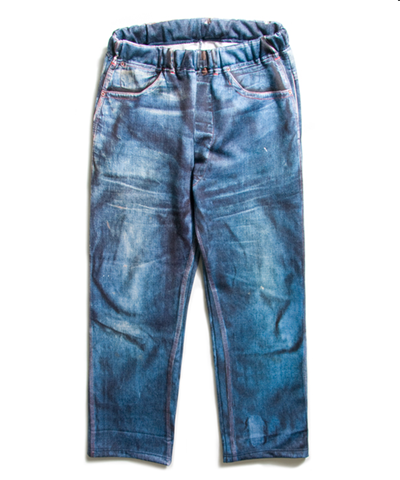 Though not actually not denim, the product is expected to be a hit with digital printing technology bringing great new looks to a simple fleece product. Soft feel of the fleece fabric will further add attraction to this product. So we have another cool product Inspired By Denim and will hopefully keep on having many such innovations dropping in at regular intervals. However, none of these products threaten the denim domain as long as technology to dye and process denim remains as expensive as it is today.